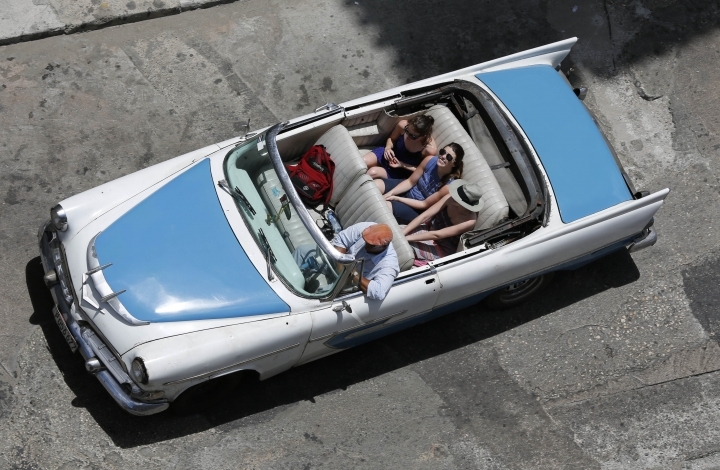 HAVANA — President Donald Trump's Cuba policy is driving hundreds of millions of dollars from the island's private entrepreneurs to its military-controlled tourism sector, the opposite of its supposed goal, new statistics say. He restricted Americans' ability to travel to Cuba on their own, rather than with a tour group. At the same time, he allowed U.S. cruise lines to continue to take passengers to Cuba, where they pay millions to disembark at military-run docks and make quick trips onshore that are generally coordinated by government tour agencies that steer travelers to state-run destinations. That has had a devastating effect on owners and employees of Cuba's 24,185 private bed-and-breakfasts and 2,170 private restaurants. They cherished U.S. travelers as heavy tippers who crammed days full of activities like classic car rides and cooking classes that put money into private hands. David Pajon, a university professor who bought an apartment to rent in Old Havana, said he has had to drop his rates 40 percent since Trump's new policy went into effect in 2017. He still was a third empty last month, the first time in three years that he wasn't fully booked in December.